Plan to attend the 2019 Annual Katy FFA Livestock Show scheduled February 13th-17th located at the L.D. Robinson Pavilion, 6301 South Stadium Lane in Katy. Students will compete showing steers, goats, lambs, hogs, broilers, and rabbits. The public can support FFA students through auction and barn sale purchases along with add-on donations. 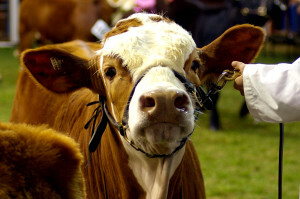 1:00 PM – Only students in Livestock Auction are required to be at the pavilion on Sunday. *All students are responsible for attending meetings throughout the entire Livestock Show. Meetings will be announced at the weigh-in. The livestock pavilion will close each night at 7:00 PM. No one is allowed in the livestock pavilion after 7:00 PM unless accompanied by a KISD representative. Saturday night the livestock pavilion will close at 6:00 PM. The Barn Sale and Add-on table will close one (1) hour after the conclusion of the auction. This entry was posted on Monday, January 21st, 2019 at 5:05 pm	and is filed under Events, News & Updates. You can follow any responses to this entry through the RSS 2.0 feed. Both comments and pings are currently closed.